A spacious and bright 1450 s.q. 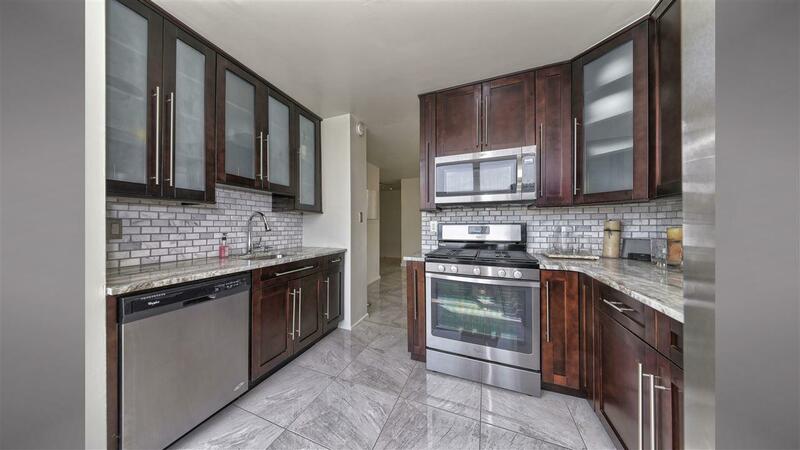 ft 2bed/2bath condo located in beautiful, recently renovated, Tower West along Blvd East. 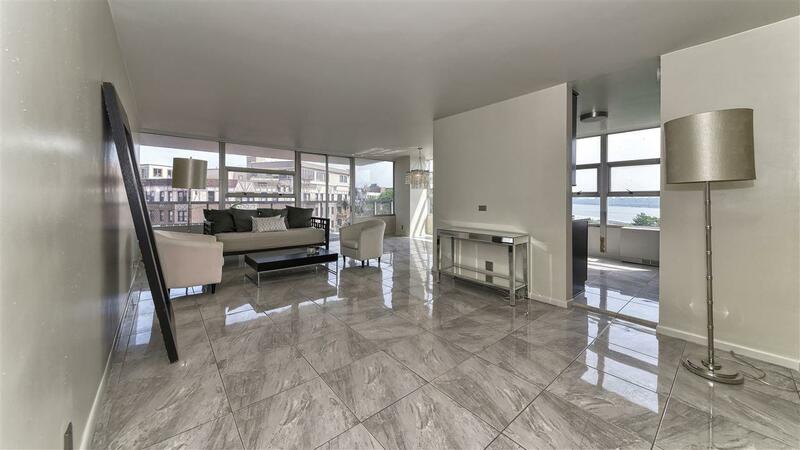 Gleaming marble floors throughout stretch into your renovated kitchen. Marble backsplash, 42" cabinets, granite counters and SS appliances make this kitchen easy to love. 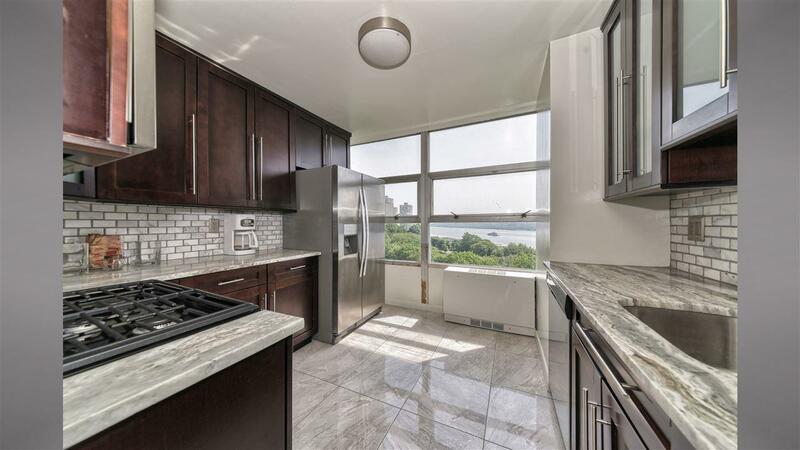 Floor to ceiling windows drown this unit with ample sunlight and views to the W, & N/E towards the beautiful Hudson River & NYC. Open concept living/dining area lead to a grand balcony. King sized master bed with large walk-in closet, complete with closet organizers, leads to your master bath. 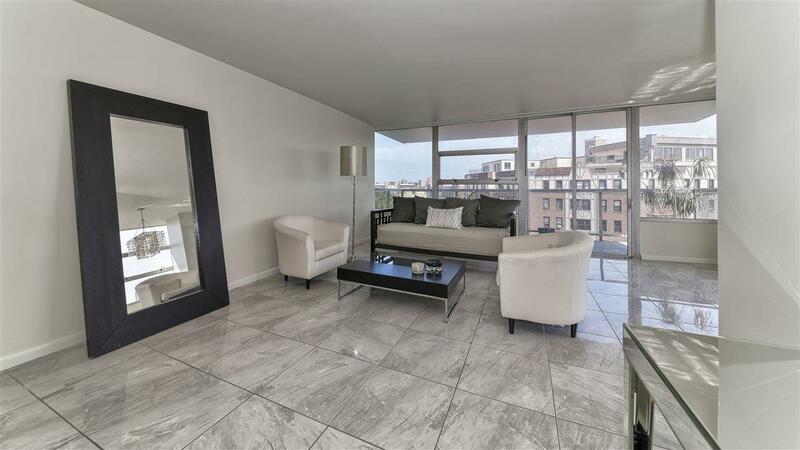 Amenities to include 24 hr concierge, fitness center, heated pool, laundry and 1 car parking. Monthly HOA $1122 includes amenities, parking, heat, cold/hot water, gas, & electric. Bus, ferry and Light Rail at door step.